Ahead of DCD>New York, Altus Group's Ross Litkenhous sat down for a Q&A with DCD’s Kisandka Moses, who is producing this year’s conference. The global head of business development at the commercial real estate services and software company, Litkenhous discussed the variations in tax policy, credit and incentive structures across existing and emerging data center hubs across North America. 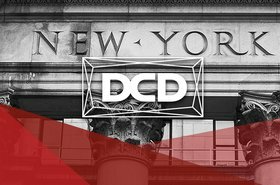 Your presentation at DCD>New York is 'The Wild West of Data Center Taxation' - why do you refer to data center taxes as the 'Wild West'? The Wild West is very much an Americanism, referring to uncharted territory and also mystery and intrigue. To some extent, data center taxes are an area of real estate taxation which is still in its infancy. There is a lot of risk to data center owners because of this uncertainty. There has been a lot written about the Northern Virginia Data Center 'Boom' but comparatively little on state tax regulation, why do you think this is the case? Data centers as an investment are still relatively young, maybe a little more than a decade. I think up until the big data 'boom' related to an increase in the use of e-commerce and social media, data centers were not as prevalent and thus, as a result, a lot of traditional real estate professionals are still trying to understand data center taxation. It's new in terms of its proliferation based on general macro technological trends and there it a lot of inexperience at the state and local level in terms of how these pieces of real estate should be properly valued for tax purposes. Can you walk us through specific taxes which have recently come into focus for the data center industry and how it will impact valuation methods? I will mention three taxes and focus on one in particular. There are three at the state and local level which significantly impact either the owner and/or tenants and the first is referred to as a sales tax on the equipment. This comes into play when an enterprise buys servers, racks and cabinets - you will pay a sales tax on this and it can come at an incredibly high rate from a tax revenue perspective for a certain jurisdiction. Second is the personal property tax, related to a valuation on all of the personal property inside of the data center. In the case of a colocation facility with multiple tenants, they will typically pay the personal property tax themselves. If it is a owner-occupied data center or corporate user, they will pay the personal property tax directly. The third tax to mention is the real estate tax or what we refer to as the real property tax is on the building itself and this is where we see fundamental misunderstanding. There are questions regarding the valuation of the real estate portion of the data center. In some ways, the data center is akin to a hotel. As a tenant who would like to rent space at a facility, you are paying for four fundamental features: power, space, cooling and security - all of which are closely associated with the business of running a data center. In state and local taxation, you are only allowed to tax the real estate. There is a big question as to what the real estate is worth and in a lot of jurisdictions, they will assess based on the leases in place and the income generated and net operating income to the data center owner and develop and income-approach to valuation. Within a colocation facility, the tenant is paying for much beyond the real estate. In a hotel, you are paying for more than the physical room - part of the average daily rate includes use of the electricity, use of furniture and a marquee associated with the brand. In order to assess value, you have to identify what the building is worth when you strip out all of the business components - access to dedicated power, fiber, cooling. I would argue that the only straightforward way to truly value data centers from a real estate assessment perspective is to do it based on the cost you would incur to build the property, less the depreciation based on its age. 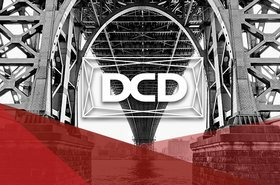 Ross will join 80+ expert speakers at this year's 17th annual DCD>New York event, to share best-practice and showcase the latest technologies colos and their enterprise clients can adopt in an era when the traditional data center is quickly becoming obsolete. There are less than 400 free passes remaining. Book your pass today to ensure you don't miss out. How important is 'ping, power and pipe' in the decision of a site selection specialist versus the consideration of data center taxation? We typically liaise with Chief Financial Officers, Controllers and Asset Managers and, from a site selection perspective, ping, power and pipe are incredibly important. I am in Northern Virginia at present and currently looking out of the window of my office building into the Dulles Technology Corridor which is where 70 percent of the world's Internet traffic passes through. There is a tendency to cluster for data centers - as soon as the most expensive components associated with developing a data center is running power and fiber to that data center, there is a declining cost to construct for every additional data center. The other thing to note is, in a lot of jurisdictions, they have finally woken up to the fact that data centers have the highest net fiscal impact of any real estate asset. They generate a ton of local taxes, do not have a significant impact on local infrastructure and do not require a tremendous amount of local municipal involvement. Some have gotten very aggressive in abating or completely exempting some data centers from paying taxes and whilst I would argue that ping, power and pipe are important, there is a significant strategy for helping data center developers decide to locate in a jurisdiction which not only handles ping, power and pipe but is also willing to abate or exempt taxes as it will impact their profitability as well as the cost to tenant the space. As a Northern Virginian resident, I am sure you are very familiar with the rise of Loudoun County and the role Buddy Rizer has played in attracting the investment of colocation facilities and hyperscalers. Are there any other regions you foresee becoming 'model' examples of consumption hubs? Buddy and Loudoun County understand the importance of data centers in generating revenue. I would draw a stark contrast between Loudoun and Prince William County. From a real estate assessment perspective, Loudoun County values the real estate as a 'really nice warehouse' whereas Prince William takes the actual lease rate associated with the tenants who are leasing spaces in that data center. If you are looking at the overall cost that you would incur as a owner or a tenant in Loudoun, it would be significantly cheaper than the tax you pay to lease the exact same space in Prince William County. However, both counties as well as Fairfax are in an arms race to develop the right balance of tax credits, incentives and tax revenue. Other places around the country that are waking up to this include the Carolinas, Texas, and there has been conversation about Georgia too - but Northern Virginia remains at the forefront of understanding this dynamic around data centers and the cost-benefit, razor-thin tight-rope you have to walk to attract data centers, retain them and compete with other jurisdictions to strengthen tax coffers. We will have a panel discussion within the Boardroom with a selection of TMT-financiers from ING, Goldman Sachs, Santander and Credit Suisse. They will chime in on the drivers behind the data center as an asset class. Why do you think data centers are emerging with buoyant returns over traditional REITs? It's very simple; macro-economic trends are supporting the proliferation of data centers as both an investment and asset class as well as significant demand to house data and provide the computing power which technology needs to power the digital economy. 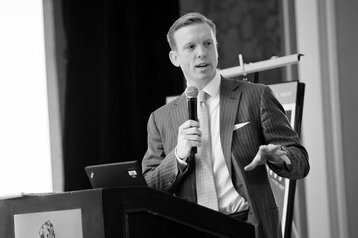 Our entire economy is build on the proliferation and use of big data which needs to be stored - whether in a cloud or otherwise - in a data center; likely in Northern Virginia. Inevitably, the desire to use, produce and analyze data is growing much faster than the individual need to sit and drink coffee in a dedicated store or shop for goods in a physical retail outlet. In addition, there are a lot of investors who have been in commercial real estate who do not understand the industry enough to 'go all in' on data centers - there is high demand, constricted supply and are dealing with an inevitable demand for data which our entire economy is currently built on. The likes of Uber and Airbnb, and the sharing economy platforms which are driving how we do business in general, are not just services, they are built on an individual's ability to transact through data and use data which needs to be stored and processed. Anytime you have more demand than supply, it is likely part of a macro-economic trend which will outpace traditional asset classes and their returns. What are your thoughts on the recent sale-leaseback transaction activity? Do you think we have officially reached the stage where it is more beneficial for enterprises to be anchor tenants over being an owner-occupier? This is a complicated question, I think it has a lot to do with the individual investment strategy and there is a tax play here too. In tax law in the United States, there was some recent changes regarding how both leases and ownership of real estate are accounted for on the books. This may be a contributing factor to the desire to [pursue sale-leasebacks]. There is usually a business decision for owners to undertake a sale-leaseback and they may also be paying close attention to the high-return rates, opt to sell their facilities at a high-value and reinvest the surplus in their core business. If you could issue a prediction about the future of the North American data center industry this year, what would it be? I think 2019 will be the peak of our [economic] recovery, which is the longest recovery out of a recession which the United States has experienced. I think overall, from an economic perspective, we will start to see a downturn at the beginning of 2020. From a data center perspective, given what I feel is inevitable [with the downturn in the] economy, if I have money to deploy and invest in commercial real estate, investment in data centers would be top of my list as they will continue to provide fantastic returns irrespective of what happens in the wider economy. The other prediction I will make is, given how fast our technologies are evolving - whether its artificial intelligence, machine learning, predictive analytics, augmented and virtual reality, there will be a need for a new type of data center and the way it is positioned in the market both from a location and use-case perspective. This will force us to rethink the way we think about the data center. We are currently experiencing the single-largest tectonic shift in technology since the introduction of the Internet and the spreadsheet.